Dogs are a man’s best friend and they are no less than a family member to the dog parents. Imagine, you’re going on a trip but you have to leave your dog behind, absolutely heart wrenching, right? Don’t worry, we have got you covered. If you want to take your dog along then you must choose a tent that will be safe and cozy for both you and your dog. Make sure you get a tent that is spacious enough for the dog to roam around and have its own play area. One of the most important features that the tent needs to have is space and easy installation system. Ventilation is also very important, so, make sure the tent that you buy has enough airflow for you and the furry goodness. 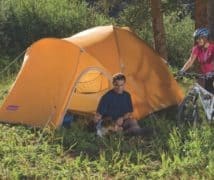 We have picked out 7 best tents for camping with dogs to have a wonderful time with your furry friend in the wilderness. The Coleman 8-person Red Canyon Tent is a roomy family tent that would be perfect to tag along with your furry friend as well. It comes with room dividers that enable you to divide the tent into three separate rooms giving you options for privacy. The shock-corded poles enable easy hassle-free setup process. The normal setup time takes around 10 to 20 minutes. However, if you’re a frequent camper and a professional, you can complete the task much faster. There are color-coded pre-attached poles which will enable you to pitch the tent in half the time. On the other hand, if you’re in a rush or you don’t want to sweat it then there’s an option for you too. The instant option will enable you to pitch the tent in just a minute, all you need to do is unfold, extend and secure. The Red Canyon has unique WeatherTec feature that will keep you dry at all times. It has inverted seams that will protect water getting inside through the needle holes. Also, it is extremely resistant against the wind with its guy-out triangles and wind responsive frame and poles. It is made with super durable weather-resistant fabric that provides the ultimate protection against all kinds of weather condition. The Red Canyon has a waterproof floor due to welding inspired technology and it also eliminates needle holes. People who are claustrophobic or prefer good ventilation system are in for a treat. Thanks to Coleman’s Cool-Air port and Variflo adjustable venting system that will never let you run out of fresh oxygen. The Wenzel 8 Person Klondike Tent is spacious enough to go camping with your four-legged friend. If you have a big or a very playful dog who needs a big space then this tent is an absolute godsend for you. It is a 16-feet by 11-feet tent that can accommodate eight people at ease. It has a 98 square foot inside space where five people can sleep easily. There is also an additional 60 square foot area that can hold three more people. The smaller room has a zip up walls which would a perfect place for your dog to spend the day during daytime to get enough air and sunlight. There is also two mesh windows and mesh roof which will prevent the dog from getting overly exhausted due to increasing temperature. 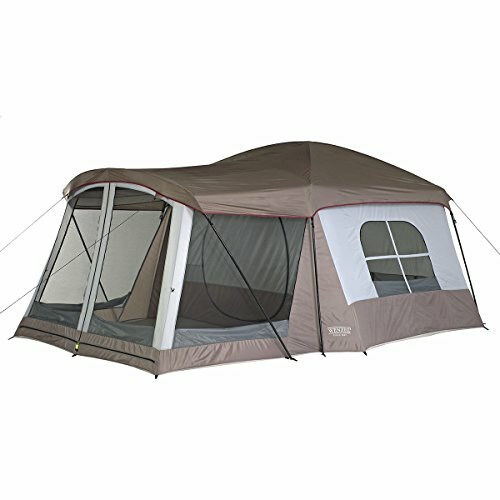 The screen room of the tent can be used as a sunroom or a picnic room to make the most out of your camping trip. In addition, the mesh windows and roof keep the bugs and mosquitos away and the front mesh lets the cool air come in keeping the tent cozy and comfortable. 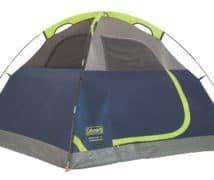 The Wenzel Klondike tent is made with extremely strong and durable weather armor polyester fabric that has polyurethane water coating that provides top to bottom protection. It also has Double-stitched, lap-felled seams which give a shingle effect against water. The tent has superior water repellency throughout the threads, zippers, and webbing to keep you dry even during rainy weather. Coleman is making high-quality world class product for a century. As the name suggests, this tent is made with the special WeatherTec system which prevents any sort of rainwater from getting inside. It guarantees you a dry camping day even during heavy rainfall. It would be a perfect companion if you’re going to camp during monsoon season. Well, setting up a tent can be hard if you’re a novice but once you get the hold of it, you can do it very easily under 10 to 15 minutes. It has huge rooms that can accommodate six people and obviously your furry friend too. It has a dimension of 17’x9’ and 6 ft. 10 in. center height. The WeatherMaster is made with extremely durable polyester taffeta 75D that will keep the tent safe from any wear and tear. 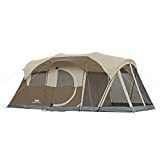 Besides winter and snow, this tent is suitable for all other weather conditions. 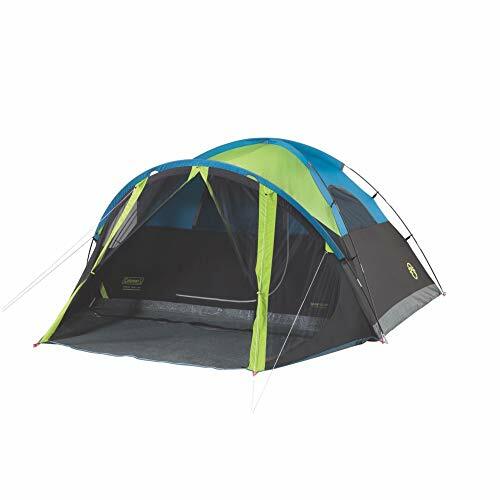 The outside of the tent is made with 75-denier polyester taffeta fly, the inner mesh is made with 68-denier polyester mesh and 1,000-denier grade polyethylene floor with 11-millimeter fiber 3D poles. The welded floor and inverted seams keep the tent dry at all times. 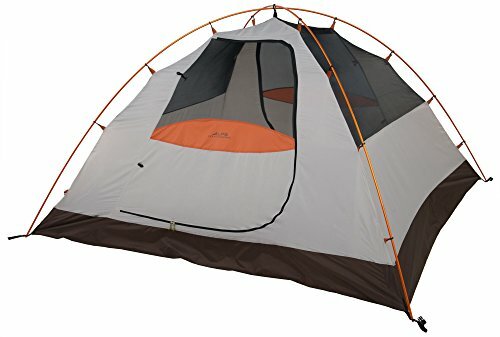 This unique tent comes with an illuminated wall that has modes: a low, high and nigh-light mode that you can set without even getting up with a runtime of 26 hours at high mode, 65 hours at low and 81 hours at night-mode. Coleman takes their customer satisfaction very sincerely. They offer one-year full manufacturer’s warranty that will get you a full refund if you get a faulty product. Whether you go hunting with your friends or camping with your dog, the Gazelle pop-up portable tent can accommodate 8 people easily. It has a strong durable built that can withstand any sort of harsh outdoor condition. It is incredibly easy to carry around during outdoor gather due to its lightweight. Due to their innovative framework, this tent comes fully assembled and quick pop-up. They have solid fiberglass poles and all metal hubs that create a solid sturdy structure that resists extreme weather conditions. It also has durable YKK zippers that zip seamlessly. You don’t have to worry about broken zippers anymore. Standing around 7 feet tall with 110 sqft area, the Gazelle provides enough space for 8 people. The Gazelle comes with waterproof rainfly with trapped seams and the rainfly connects to the corner roof receptor poles easily. You can also leave it off during warm starry nights to have a nice view of the sky. The Gazelle weighs about 47 lbs which can be easily stuffed into a 63-inch duffle bag. The tent has a polyester cover that provides durability against wind and cold. It has two doors that provide plenty of air flow. It has a rugged polyester floor that is held securely by a strip of hook and loop tape which is surrounded by the tent interior. You can also quickly shake off dirt and sand by removing it from the hook. With its unique features and sturdy components, the Kelty Salida Tent will enhance your backpacking trip to a great extent. The tent is quite easy to set up even if you’re a beginner. It comes with backpack friendly folding poles, gear loops, color-coded loops, and fly attachments. This tent can be easily snapped into places and the zippers zap smoothly without any glitches. It has thin yet durable polyester and a mesh roof that provides a clear bug-free view of the sky. There are many tents in the market that have a low ceiling that gives a claustrophobic feel. 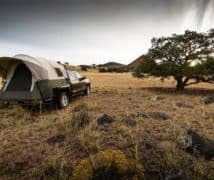 However, you would face this issue with the Kelty Salida as it has a long sloped ceiling that gives no such feeling at all. The Kelty Salida is made with super durable 68D polyester, 40D no-see-um mesh for a clear view of the sky. The floor is made with strong 68D nylon that helps this tent to last for seasons after season. 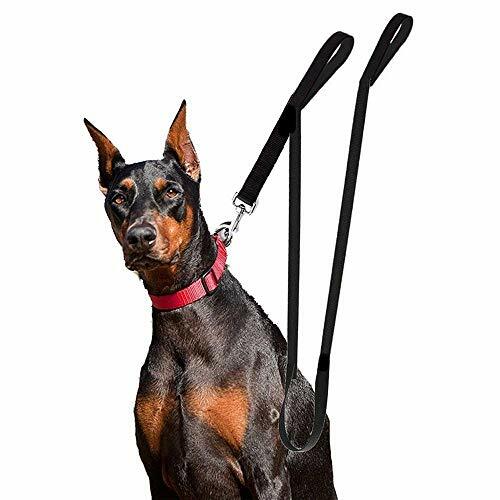 The tent also has Kenty hug clips and easy entry D door which will help your dog easily come in and out of the tent. It has internal pockets where you can store important things for quick use. The fully seam taped construction helps to keep the tent strong throughout all weather condition. The Kelty Salida has a vestibule space which would be a perfect den for your where it can play and roam. It has a total area of 10 sqft which can accommodate 4 people easily. ALPS has been making top quality products for decades to make the journey more enjoyable and hassle-free for the adventurers. 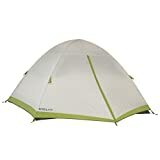 If you’re tired of carrying the big heavy tent and want something light then the ALPS Mountaineering Lynx is your guy. This tent will be your perfect companion if you and your furry friend want to take some time off from the city life. Setting up this two-pole design is a piece of cake. Since the Lynx series of ALPS is free-standing, you don’t have to face the usual frustration of setting up the tent with the Lynx. You can pitch this thing in a jiffy. Half of Lynx’s wall is made with a mesh wall which provides good air flow and proper ventilation. The tent has two doors that can be used for extra ventilation if needed. You also get additional vestibule place where your dog can have its own den and have some playtime with its favorite toy. It has extra-large zippers that zip smoothly without giving you any trouble. The ALPS Mountaineering Lynx is made with super durable 75D grade polyester which provides great protection even in extreme weather. With proper maintenance, it will give you years of services without any wear or tear. On top of that, its poly taffeta floor has a 2000mm coating which will keep you dry if you’re camping during monsoon. The Coleman Carlsbad tent is an excellent choice for dog parents who want to spend some fun time with their cuddle buddy in the wild. It comes with an additional screen room where you can store your necessary things and your furry friend can also have some playtime too. Setting up the Coleman Carlsbad doesn’t require much time. It takes about 15 minutes and if you’re a pro then you can do it much faster. It has a dimension of 9 x 7 feet and stands at a height of 4 feet 11 inch. It comes with a unique darkroom technology that blocks 97.5 percent sunlight letting you sleep even after sunrise. The screen room has a zip door and it is spacious enough for 2-3 dogs depending on their size. So, if you have multiple dogs then you’re in a luck. It has extra ventilation which is an excellent option to spend time during warmer nights. Inside the tent, there are small storage pockets where you can keep some necessities within your reach. You can keep some treats for your dog which you can give him when he’s being a good boy! Thanks to Coleman’s unique WeatherTec system that will keep you dry and warm even during rainfall. The floors are made with the extremely durable tub-like floor which will keep the moisture away during the wet rainy day. The inverted seams also keep the water out giving you protection against rain. No wonder dogs make everything better. Taking your beloved pet on the camping trip would enhance the joy of the trip to a different level. To enjoy every bit of the trip, there are several things that you need to take into consideration. One of the most important factors that you need to decide at the very beginning is the size of the tent. It would be an absolute blunder if you pick a two-person tent to go camping with an Alsatian. We have reviewed some excellent tents that are spacious enough for big dogs. If you have multiple dogs then choose a big tent that has additional vestibule space where the dogs can have some fun playtime together. Small dogs will fit in any tent meant for humans. This article is written keeping in mind the medium sized dogs which are a more popular size preference. Your dog’s breed plays a vital role in making the perfect tent choice. For example, dogs with a thick coat such as a Husky will need generous ventilation facility if you’re camping during summer. Also, Greyhound dogs are known to be terrified of the thunderstorm. So, it wouldn’t be a good idea to tag along with a Greyhound during monsoon days. Weather plays a critical role in choosing the perfect tent. You must choose a tent in accordance with the season you’re planning to have the trip. 3 season tents are the most popular kind. They are designed for warmer days, preferably during spring, summer, and fall. These tents are equipped with mesh panels to provide good air flow and ventilation. The primary function of 3 season tents is to provide you with privacy, keep you dry from rain or snow and to shield you from bugs. Whereas the 4 season tents are designed for extreme weather conditions when there are chances of substantial rain and snowfall. They use heavier fabric and less mesh panel than the 3 season ones which provides warmth and comfort during cold winter days. The time required to assemble the tent varies with the type, size and obviously your expertize on this field. If you’re a novice who has just started camping recently then it’s justified to require more time than usual. 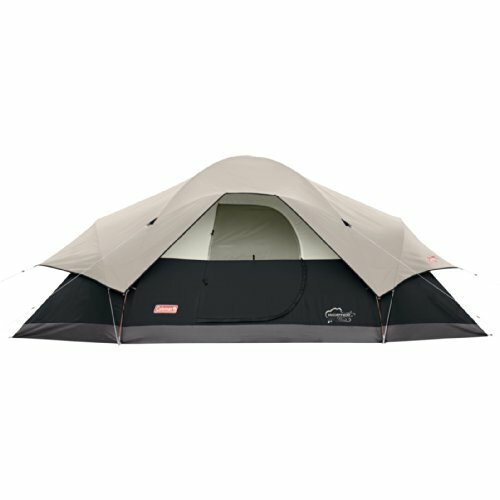 All the tents that we reviewed are hassle-free and easy to pitch. Q. Is there any difference between dog tents and regular tents? Ans: No, there isn’t any significant difference. These are regular tents that are spacious enough for dogs. Q. Will the dog feel suffocated inside the tent? Ans: All the tents that we reviewed have enough ventilation. There is clear mesh on many of them which provide ample airflow. Also, the tents are spacious enough so your dog will have enough space to have its own den. Q. 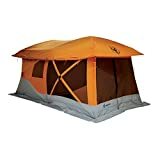 Are the tents suitable for extreme weather conditions? Ans: There are different variants of tents for different weather condition. If you plan to go camping in the snowy or windy season then we recommend you to opt for the 4 seasons tents. For the warm sunny days, 3 season tents are an ideal option as they provide excellent air flow. Q. 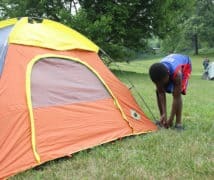 How much time is required to set up a tent? Ans: This depends mostly on the tent size, construction, and your techniques. 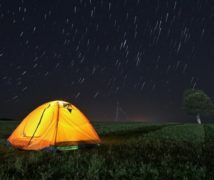 Most tents can be pitched within 15 to 20 minutes if you’re a beginner. If you’re a pro and a regular camper then it will take you a lot less time. Dogs are a blessing and spending some quality time with these adorable furballs would be absolutely blissful. 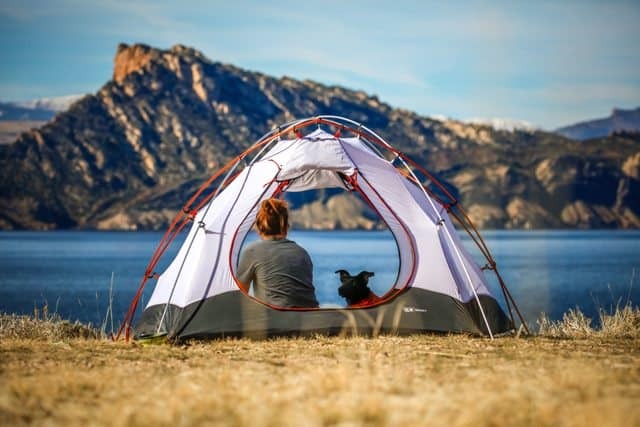 We have reviewed the best tents for camping with dogs that are available in the market to make the trip with your dog more enjoyable and carefree. Make sure that your dog is in good health and fit enough to go camping. The dog needs to be well behaved around people so that others don’t face any trouble because of the dog. Different dogs have different needs and habit. Study the behavioral pattern and choose a tent that suits the requirements the most. Give your dog plenty of treats and have as much fun as you can.